Table weighing an anti-vibration ADII-MWT. Double independent structure with stone inlaid of 400 x 450 mm on silent blocks. 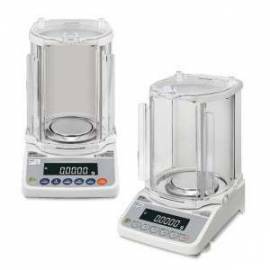 Balance compact A&D Instruments EJ-6100. 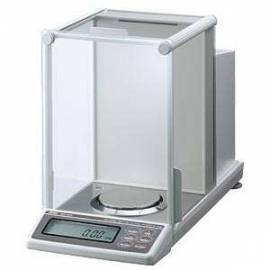 Capacity 6100 g. Resolution 0.1 g. Table size 127 x 140 mm external Calibration. Backlit display. Multiple functions such as counting, weighing in percent, weighing comparative. Calculation of the density auto. Term stainless steel. AC power or 4 dry batteries AA. Options: USB fast, RS-232C, windscreens, carrying case, kit of density. 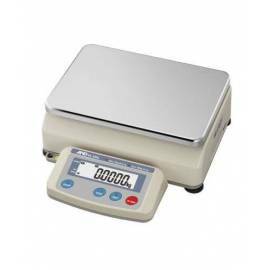 Scales precision desktop A&D Instruments EK-L. Model EK-15L with a capacity of 15kg, resolution 0.1 g; and, model EK-30L (double capacity): capacity: 3kg/30kg, resolution 0.1 g/1g. Large plate of stainless steel. 300 x 210 mm easy to read LCD Display. RS-232 interface included. Output in accordance with GLP/GMP/GCP/ISO. Multiple units of measure. Function improvement of the pressure in the counting. Functions percentage, comparative,+ -, customization screen. AC adapter or optional rechargeable battery pack. 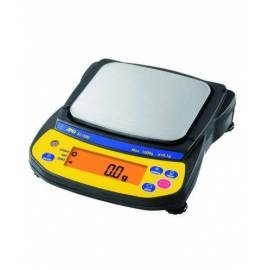 Precision balance A&D Instruments FX-3000i. 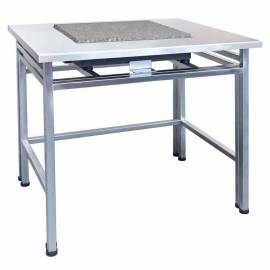 Ability to 3,200 g, resolution 0.01 mg Size of plate, 150 mm Robust and durable. IP65 protection against dust and water. Function absorbing shock. Auto power off and auto switch. Base size B% to use in tight spots. For external calibration. VFD display screen. Statistical calculations SCF. RS-232 standard. Load cell quick. Optional: USB Interface fast interface LAN-Ethernet with software WinCT-Plus, dish weighing animals, windproof big. Precision balance A&D FX-300 CE. Capacity 320 g, resolution 0.001 mg Size of dish 130 mm Windshield standard. Sturdy and long lasting. IP65 protection against dust and water. Function absorbing shock. Auto power off and auto switch. For external calibration. Approved EC. Base size B% to use in tight spots. VFD display screen. Statistical calculations SCF. RS-232 standard. Load cell quick. Optional: USB Interface fast interface LAN-Ethernet with software WinCT-Plus, dish weighing animals, windproof big. 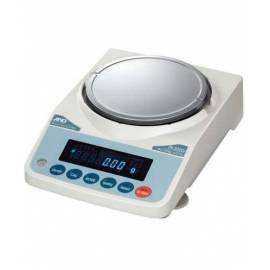 Analytical balance dual range A&D Instruments HR-202i. Capacity 220g/51g. Resolution 0.1 mg/0,01 mg Dish 90 mm Glass anti-static. RS-232 output. Compliance with GLP, GMP and ISO.Number id ID for output of data to LPG. Self-ignition. Big weighing chamber. Communication Software WinCT (download). Options: interface fast USB, Converter RS-232/Ethernet, protective cover (5 pcs), kit density, feeder portable, rechargeable, eliminator of static control and remote display. 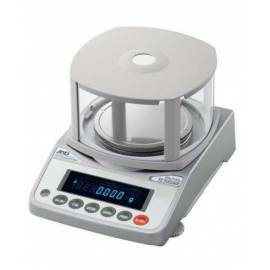 Analytical balance A&D Instruments HR-250AZ. Capacity 252 g, resolution 0.1 mg Size of plate 90 mm Robust, high protection against dust and water. Great camera windscreen with sliding doors to rotating. Internal calibration with a single key. Absorption of shock. Auto power off and auto switch. Base size B% to tight spots. LCD screen. Statistical calculations SCF. RS-232 standard. Load cell quick response time 2 sec. Optional: USB interface fast interface LAN-Ethernet with software WinCT-Plus. Moisture analyzer A&D ML-50. Weight max. 51 g. Resolution 0.005 g. Content moisture shown by 0.1%/1%. Precision with 1g/5g of 0.5% to 0.1%, respectively. Temperature drying 50-200ºC. Size plate 85 mm Heating fast and uniform with halogen lamp and filtration system RAS that prevent spot heat. High repitibilidad with the system SHS. Check precision and accuracy with tartrate of sodium dehydrated.Five measurement programs (standard/automatic/time set/manual/quick). RS232 interface. Suitable for measurements in solids and liquids. WinCT-Moisture Software that shows real-time graphs of changes in humidity, controllable from PC. Data exportable to Excel or Word.